Hi. My name is Amanda and I love pandas. I don't think we've discussed this much yet in this forum, but really, you shouldn't be surprised. My parents, thrilled to have their first child, started calling me Amanda Panda Sandra Sue and variations thereof pretty soon after I was born. 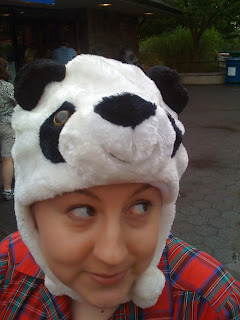 When I was two, they saw a nightshirt with pandas on it that said "Pandamonium" and thus my panda collection was begun. It's grown ever since. I do try to keep it from overwhelming my decorating/wardrobe/life, but I definitely don't keep it a secret from those who get to know me. For example, my t-shirt collection has gotten to the point where a few months ago, a t-shirt on Woot.com was featured that I liked and I told Blake I wanted to get because "It's about books! And it doesn't have a panda!" I needed a little variety in my shirts and he agreed. My bedroom at home is decorated with a panda theme, though some of the components have moved with me to DC. Besides all the usual things like clothes, jewelry, and about a zillion stuffed pandas, I also have a panda teapot, Christmas tree ornament, a fuzzy board book, wallet, iPhone cover, art, more books, and so on. Two them I actually purchased within the last week. I had panda cupcakes at my bridal shower! 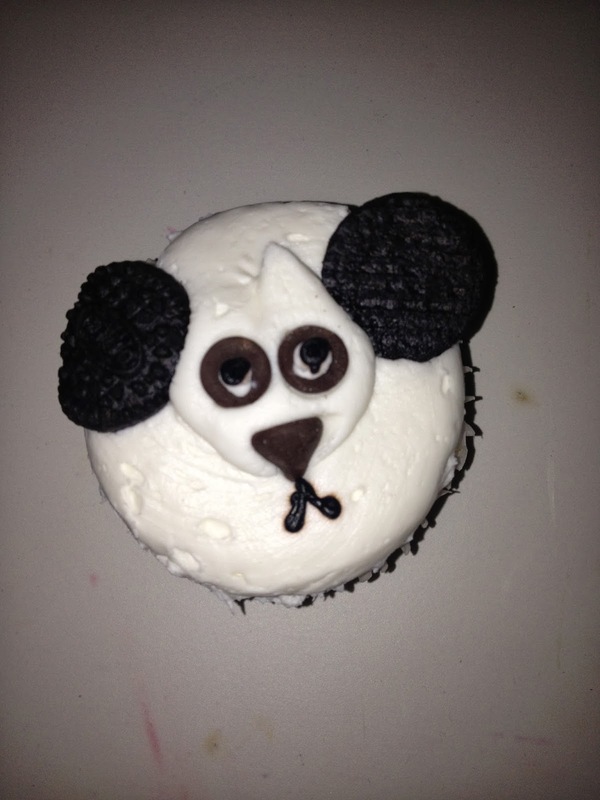 And my darling friend Marcia had a coworker who brought in cupcakes to work today, and one was decorated like panda. So, she snagged it and brought it to me this evening! 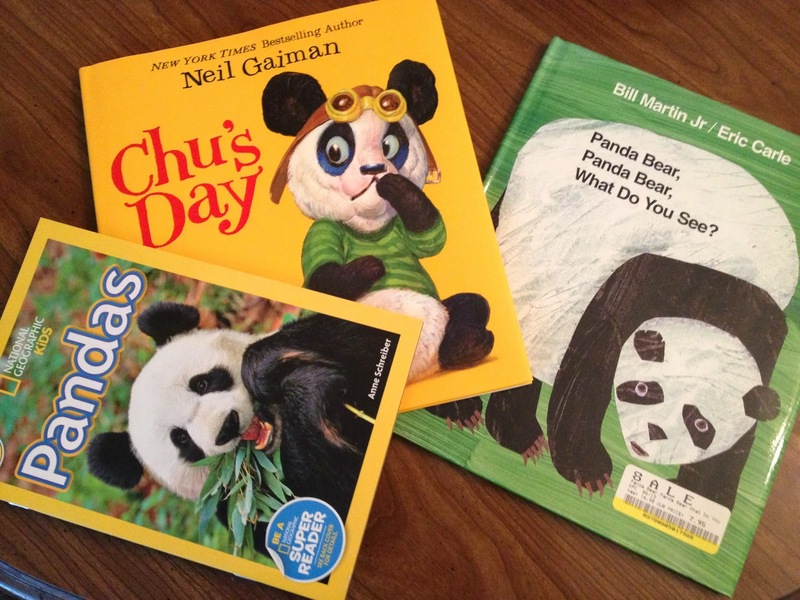 This is not the first time a generous friend or family member has considered my love for pandas and it won't be the last. I am thankful for each and every one of them! And don't forget! Until November 22nd, you can vote for the name for the new panda cub at the National Zoo! You give me hope that we can get Iddo to like all the turtles we've already started collecting for her. I started my elephant collection before my first birthday. I'm pretty sure there's still at least one elephant in every room of our house, including the one Brett got me for our first date.